Christmas is not only the season to be jolly, but also the time to build snowmen in the backyard. However, if it doesn’t snow in your place, then a good alternative would be that of popsicle stick snowmen. You can go artsy when making popsicle stick snowmen. You can cut out hats from colored paper, or use felt paper for a more authentic texture. 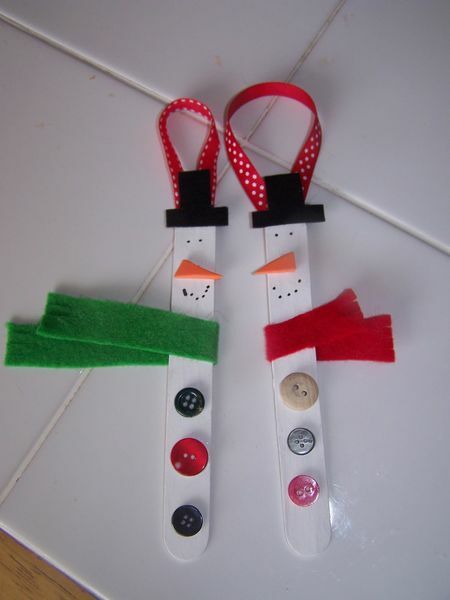 You can also stick your favorite buttons to form the body of the snowman and complete the outfit with a colorful scarf. Popsicle stick snowmen are best used as wall and hanging decors, although they can also be present in Christmas trees and in garlands on staircase banisters.